Makes the Divine Confetti last 1-hour long. The purple glow also stays for the same amount of time when the buff is up. However, the buff can be overwritten by skills like Living Force. Effect duration can be changed in Yapped > SpEffectParam > 3451 > effectEndurance. Changed Divine Confetti's Duration from 60 seconds to 6000 seconds. 2. 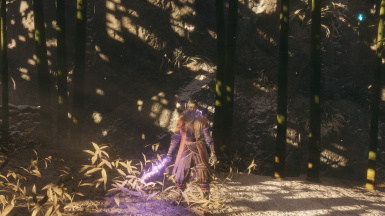 Download Sekiro Mod Engine. Follow installation instructions. ﻿2a. Open modengine.ini with Notepad. ﻿2b. Change line "loadUXMFiles=0" to "loadUXMFiles=1"
﻿3a. Copy "gameparam.parambnd.dcx" to "C:\Program Files (x86)\Steam\steamapps\common\Sekiro\param\gameparam"